Me too. I was joking. I honestly think the Gruden we have is better than the one the Raiders have. I'd trade Bruce for an ham sandwich. Bruce is a genius! Now lets exchange the two Gruden coaches and we're all set for a super bowl run. How many times do we see players leave one team and have a nice career with another.... Antonio Pierce anyone.... I'll reserve judgment. "My name is Raymond J. Johnson Jr. Now you can call me Ray, or you can call me J, or you can call me Johnny, or you can call me Sonny, or you can call me Junie, or you can call me Junior; now you can call me Ray J, or you can call me RJ, or you can call me RJJ, or you can call me RJJ Jr. . but you doesn't hasta call me Johnson!" I'd have no problem if the Skins picked up Rosen. Financially it won't be a big investment. The Redskins can then invest what cap money they do have in other areas. I think Jay could work with Rosen and help him improve. Having Guice, Petterson and Thompson will take a lot of pressure of him too. Having said that, I don't think it's going to happen. I really find it hard to believe the Cardinals give up on him after one season. Spurrier's QB's - Shane Matthews , Patrick Ramsey, Danny Wuerffel, Gibran Hamden, Tim Hasselbeck. It makes me cringe when I see that list. I've been giving this a lot of thought lately and I think the best option for the Redskins would be to sign Colin Kaepernick. 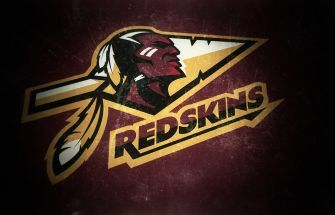 I know that would not be a popular choice for a lot of people but the Redskins are in a very tough situation. They don't have the money to pay a top free agent QB and I think getting someone with experience would be the best way to go. I doubt he would cost a fortune. Politics aside, we need QB. I think he could win some games for us. Ok...commence the stoning. Is it too soon for Look A Likes? If he ends up with the Redskins they'll put an end to that. I'm 56 and haven't been called a kid in a very long time. Thanks! In no way am I comparing the two but Belichick had one winning season when he was head coach of the Browns and look at him now. My point is lets see what he does with special teams before dumping on the guy.